The brand for the animal lovers. From the one who doesn´t only give food to the dog but feed the friend that welcomes him/her cheerfully as he returns home every day. The quality food for the one that loves you most. Payback a small part of what your dog gives you providing him the best for its happiness and health: a suitable food. 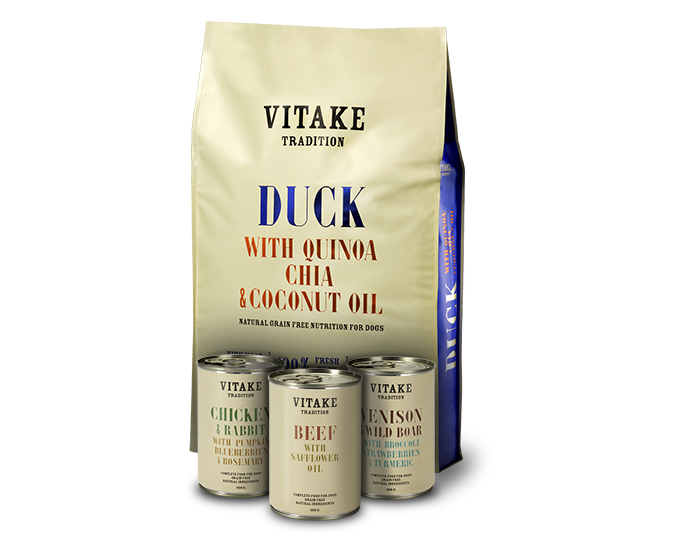 High class nutrition for your faithful friend. Ask our experts. Contrast opinions with experts and breeders. The highest quality food for your dog: the best for the one who loves you. 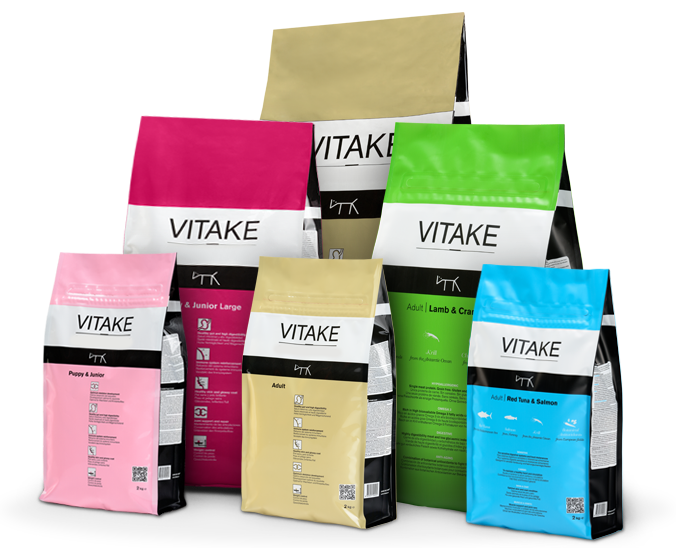 You can contact us sending an e-mail to vitake@vitake.net or filling the application form. Subscribe and receive our offers!